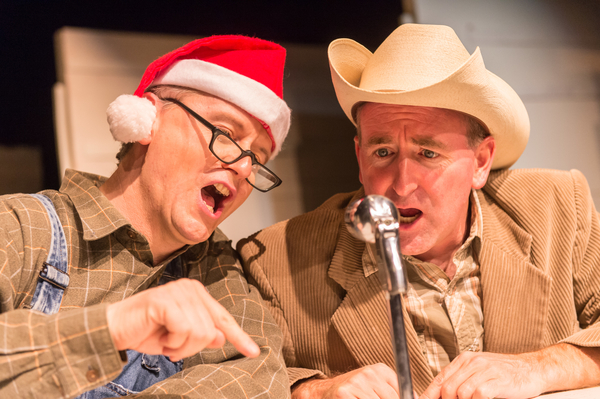 Tall Tales from Tuna, Texas, are Terrifically Told! 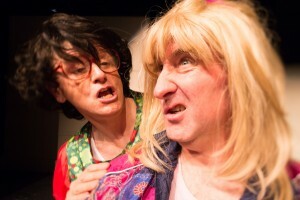 This was my first “Tuna.” Tales of the fictitious small Texas town, Tuna, have been around for several years. 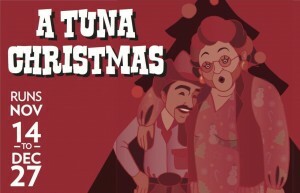 The series, by Jaston Williams, Joe Sears, and Ed Howard, began in 1981 with “Greater Tuna,” followed by “Red, White and Tuna,” and “Tuna Does Vegas.” The current “A Tuna Christmas” debuted in 1989 in Texas. 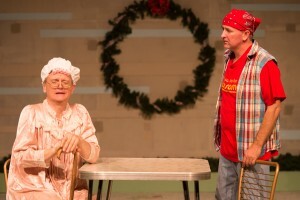 The plays are performed frequently across the nation. This week, provided me with my first glimpse of the quirky little town. The program lists only two performers. Very curious, as I saw something like 20 characters come to life in 90 minutes of fun. Jay Benedict Brown and David Austin-Goen are remarkable, as they breath life into a variety of characters telling their tales of life in tiny Tuna! Although fictitious, the town is reportedly the “third-smallest” town in Texas. Tuna is inhabited by a host of different citizens, each with his/her own charm and concerns. They are introduced by Thurston and Leonard, at the town’s radio station, dropping hints as to what is happening in Tuna this Christmas Season. We meet lots of strangely wonderful persons. We learn that a mysterious Christmas phantom is on the loose, causing mischief. There is the by-the-book bureaucrat who threatens to cut the electricity on the town’s Christmas party at the school unless the school district pays its over-due electrical bill. There is Bertha Bumiller, the ditsy mother whose son, Stanley, has just been released from jail and is on probation for a few more days. Her daughter, Charlene, is having a difficult time fitting into Tuna’s citizenry. Charlene’s idea of “decorating” the Christmas tree is to toss handfuls of tinsel, letting them land where they may. Bertha’s husband, Frank, is somewhere in town, but no one knows where. Vera Carp is the town snob who pays a call on Bertha to admire what a wonderful “view” Bertha has of Vera’s home just across the street. Vera has won the town’s Christmas outdoor decorations contest for 14 years, and will be furious if she should lose this time around. Not so, her direction is as brilliant as the characters the two actors bring to life. 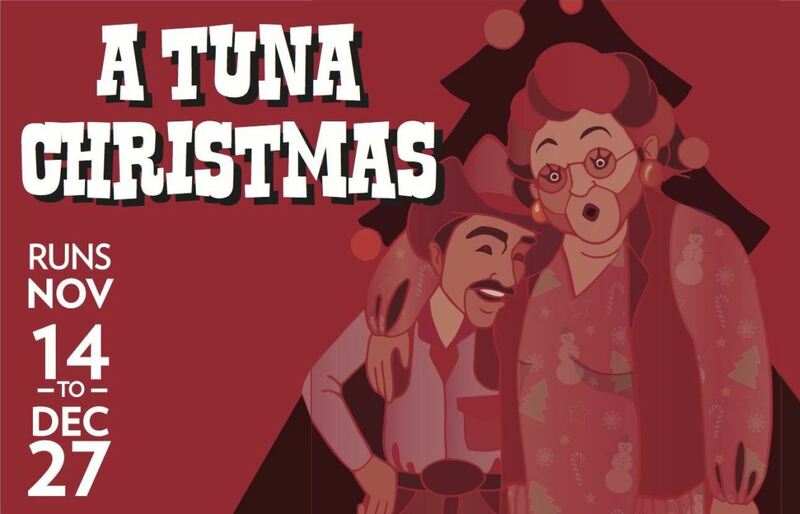 “A Christmas Tuna” is a super introduction to the area’s Christmas Season.